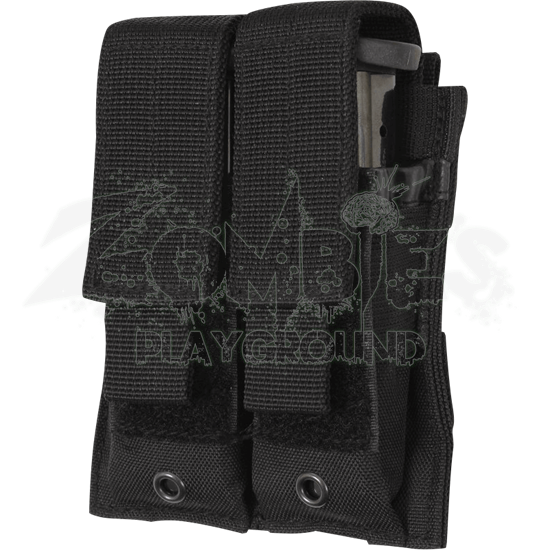 Now you can put more bad guys down with the help of the versatile MOLLE Double Pistol Magazine Pouch. This military accessory can help you keep your secondary weapon ready to go, so purchase one for yourself and enjoy the benefits. Carefully constructed from durable polyester this item can hold two handgun magazines. Each pouch has top loops so you can quickly access the ammo during intense situations. Hook and loop sections are attached to each flap to secure the magazines. 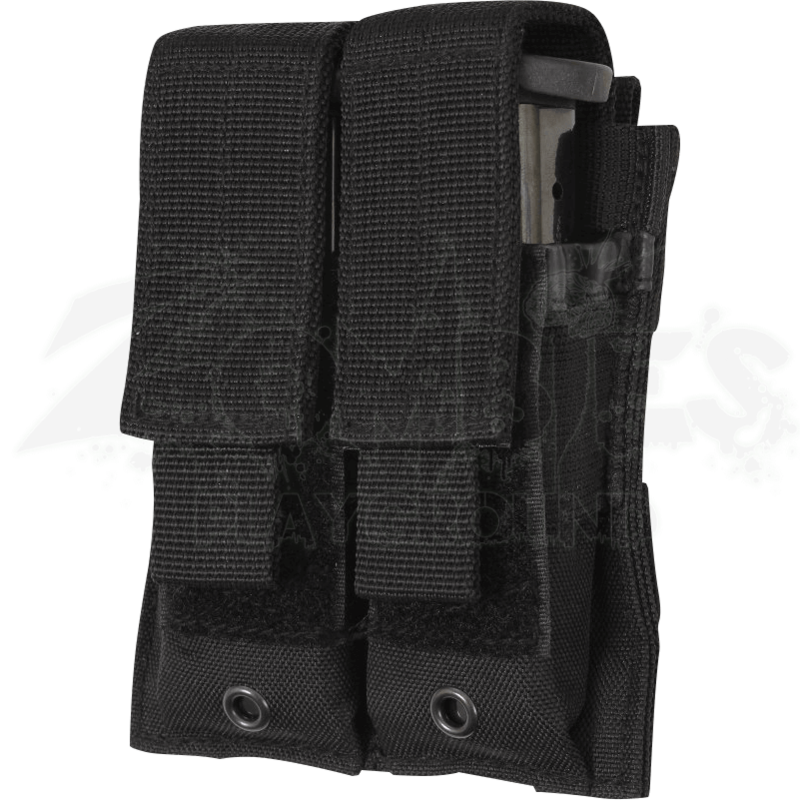 MOLLE straps on the back allow this item to be applied to any compatible gear or clothing. Luck favors the prepared so be ready to pick up a MOLLE Double Pistol Mag Pouch and increase your ammo capacity today.